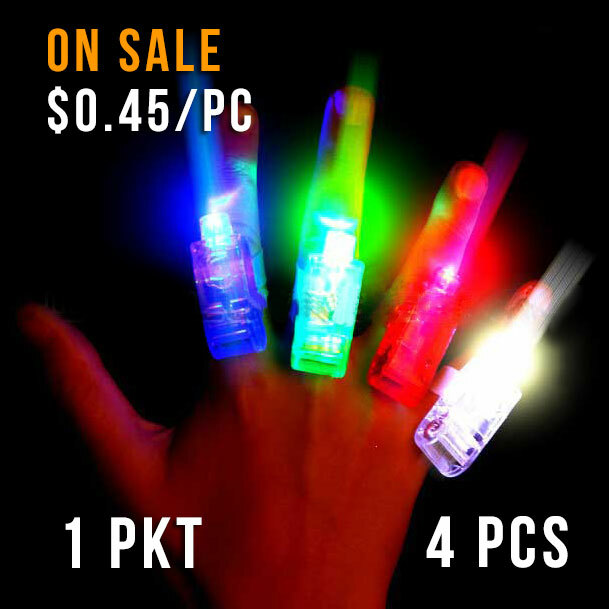 1 Card of Finger Lights. 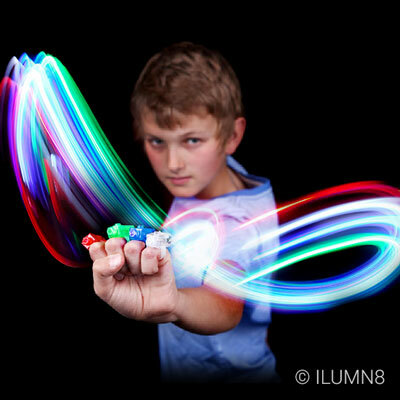 4 Different LED colours per card. Elasticised rings, one size fits all. 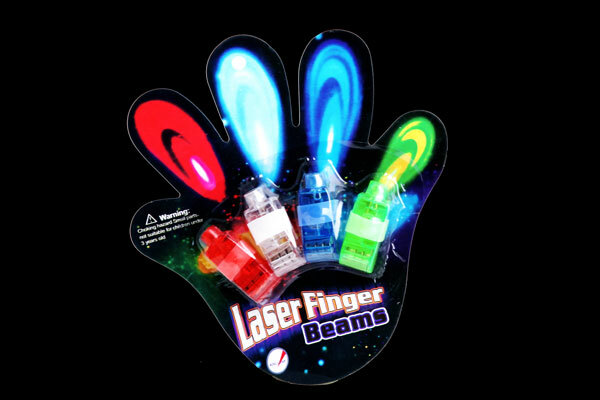 * Note packaging conveys "Laser Lights" however these only contain Safe LED lights, not lasers. The batteries in this item are within a completely sealed unit and cannot be replaced. The batteries in this item are pre-installed Alkaline AG3 batteries.